Considering the size of the Indian mobile market, it is accelerating in the growth of online banking, and thus also digital payments. To cash in on this growth, Mastercard and Citibank India have come together to offer Indians a digital wallet that enables the bank’s customer to undertake ecommerce transactions with fewer steps. With Citi MasterPass, the new Citibank-Mastercard digital wallet, customers can link their credit card or debit card to digital wallet for online transactions. With already being available in 24 odd countries with a whopping customer base of 40mn in the Asia-Pacific zone alone, it has now launched in India as it sees a potential company growth due to the strength of the populous. Mobile wallets seem to be gaining much love and acceptance in the country, which has one of the highest numbers of mobile phone users. Earlier this month, BSNL launched SpeedPay, a mobile wallet, which allows users to load money without having a bank account. Speaking to media, Kartik Kaushik, country business manager, global consumer bank said, “The user experience will be same across all forms, mobile, tablets and computer. The focus is on the customer wallet.” He indicated that other forms like contactless card or ‘tap and go’ would be integrated in this. As of now, close to 41% of Citibank card transactions are performed online. India will be the first market in the region where Citibank card customers will be allowed the co-branded Citi MasterPass solution. 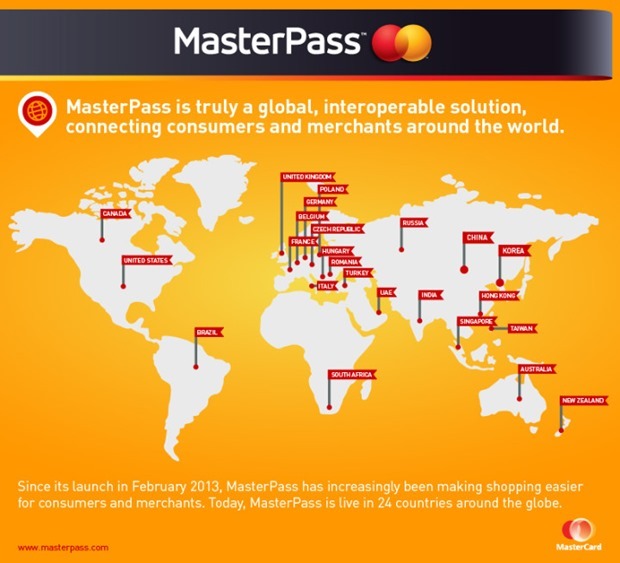 According to the press release, Citi MasterPass will be available at over 100 online merchants in the country, with more to come in the future. Also, Citibank India customers can now shop at over 250,000 e-commerce merchants worldwide. The charges applicable for a fund transfer are lesser through a mobile wallet than the traditional means. Mobile wallets urge the convergence of mobile network service providers and financial organizations. Mobile wallets motivate service providers/operators in fetching more groundbreaking units in the mobile financial market. He said that the bank customer would be able to shop at about 2.5 lakh ecommerce merchants in India and overseas. With so many merchants in the market, the user would be spoilt for choice. By selecting ‘Buy with MasterPass’ as the payment option at checkout, customers can eliminate the need to fill in details repeatedly across online merchants. This reduces the risk of customers abandoning their shopping carts due to cumbersome payment processes or exposing their personal information over potentially unsafe networks. You can check out more details on Citi Masterpass here. In January 2015, HDFC entered the wallet arena and was looking to dominate the digital payments market as they termed it the future of Digital Payments. Their two-step shortcut payment method cuts down the failure rate on mobile phone purchases by 50%. Leading global banks in the last few years targeting the Indian market sees many such announcements, and it just doesn’t seem to stop. We wonder if India has any more space left to accommodate some more in the digital payments section. "Citibank India and MasterCard Announce Global Digital Wallet for Indians Using Credit or Debit cards", 2 out of 5 based on 3 ratings.